After a few days to recover, assess and dry off from a wet and windy Brighton, here are my thoughts on this years’ Liberal Democrats Conference. The mood was much more business like than prior conferences. 2010 was one of great excitement from being in Government. 2011 was gritted teeth and determination in the face of protests. 2012 felt a case of “let’s deliver and get on with being in Government”. Outside of the conference bubble there was much less interest than in the past few years from the media, partly this was because there were few stories to tell. 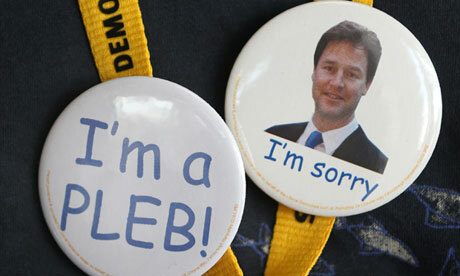 There was no anti-Clegg, anti-coalition sentiment, however hard the press tried to find one. Also the Andrew Mitchell “Pleb” story took over and dominated the political news. The Liberal Democrats have achieved a lot in Government and it’s up to us, as a party, to tell the voters what we’ve done, as the media definitely won’t. As a party we must carefully consider all policy decisions and the long term ramifications, these will be driven by our core values of liberalism, fairness and localism. We cannot return to being a party of protest, which is easy in opposition. Just look at Labour now and continued opposition to almost all Government policies, especially spending, despite the economic situation. The next 18 months will be critical, so time to get the walking boots on, waterproofs on and clipboards out, get talking to people and drive the Lib Dem achievements and message home. ← Coalition – tackling long term issues not playing short term politics. Thank you,Phil. May I include this in our next EFocus,please? Janet PS I did notg see you there but I left after Monday when we launched our new group LD4SOS Liberal democrats folr Seekers of Sanctuary along with groups from Citizens UK and Movement for Justice and Julian Huppert MP.Visit http://www.ld4sos.org.uk for more info. Yes, a good Conference.